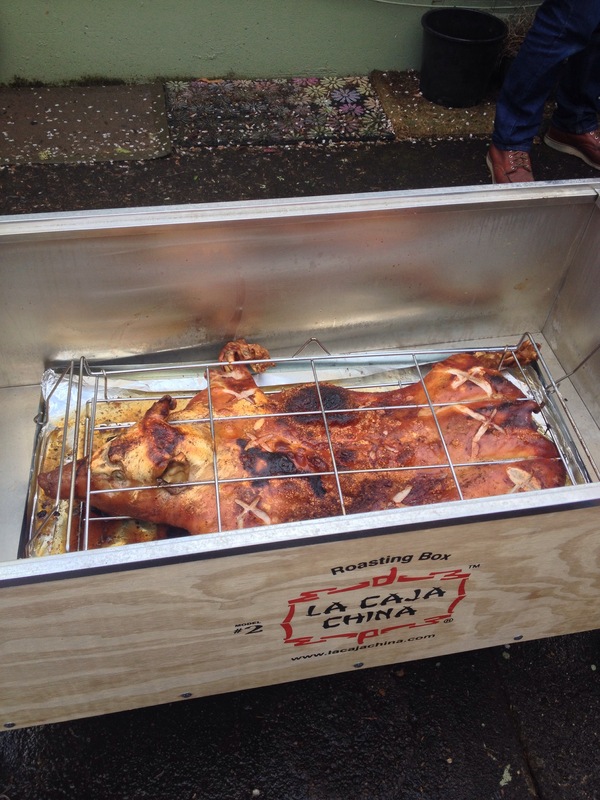 Today, despite the chilly temperatures, intermittent showers and hail, I attended a pig roast. It's good to know people who like to cook and need to practice for catering weddings and things. Summer is solidly on the horizon now, with 80-degree weather scheduled for later in the week. Maybe there will be more pig roasts in my future?